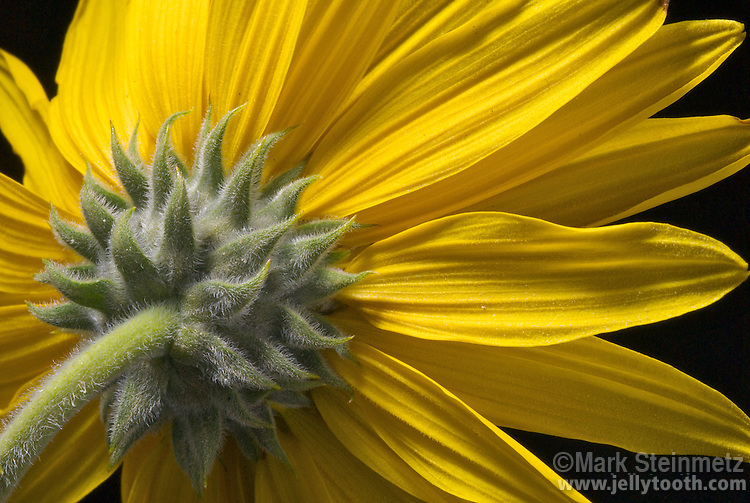 Close-up of the backside of a Downy Sunflower (Helianthus mollis). Also known as the Hairy or Ashy Sunflower, found in prairies and dry sites throughout central and eastern North America. The green hairy structures that resemble leaves are called phyllaries, and compose the bract of the composite flower.